South Korea’s state-owned energy corporations and think tanks have recently been observed empowering their inter-Korean economic cooperation functions, in anticipation that the latest US-North Korea talks for denuclearization may open the door to the long-secluded northern part of the peninsula. While research institutes made gestures to expand their related research, ministries and state-owned entities largely remained cautious and settled for subtle personnel readjustments, keeping an eye on ongoing progress. Taking the lead was the Korea Development Institute, a policy think tank affiliated with the Ministry of Strategy and Finance, which last week realigned its conventional four-member North Korean economy research team into a 36-member economic strategic unit. “The renewed organization will take charge of comprehensive studies concerning North Korea, including its macroeconomics, finances and external relations,” said an official of the institute. The Korea Institute for International Economic Policy, looking beyond the inter-Korean interaction and ahead to the plausible Eurasian connection, launched an economic forum encompassing the US, China, Japan and Russia trade issues, as well as the inter-Korean development agendas. The various regional experts will gather in a quarterly meeting to give shape to the “Korean Peninsula New Economic Map,” the Moon Jae-in administration’s idea of forming an economic cooperation belt cutting across the Korean Peninsula and Eurasia, officials said. Among state-run energy companies, Korea Hydro & Nuclear Power Co. took the pre-emptive step of kicking off a North Korean business task force upon CEO Chung Jae-hoon’s direct order last month. Since the 1950s, North Korea has been heavily reliant on waterpower generation for its national energy production, but in the past years has been pressed with power shortages caused by obsolete equipment and lack of investment. Modernization of North Korea’s outdated waterpower resources would be one of the key ways of creating economic synergy, should the North be freed from economic sanctions and the two Koreas agree on interactions, according to HKNP officials. The affiliates of Korea Electric Power Corp. are also said to be reviewing the possibility of building a wind power or coal thermal plant in North Korea, but Kepco has refrained from commenting until the government’s official announcements on inter-Korean businesses. Economy-related ministries have appointed senior experts as chiefs of inter-Korean teams -- posts previously viewed as trivial jobs under conservative administrations. In the Finance Ministry, a former senior budget policy official was named leader of the inter-Korean economic cooperation team. “Budget plans related to North Korean development will be flooding in, so a person with expertise in budget deliberation needs to be in charge,” said an official of the ministry. 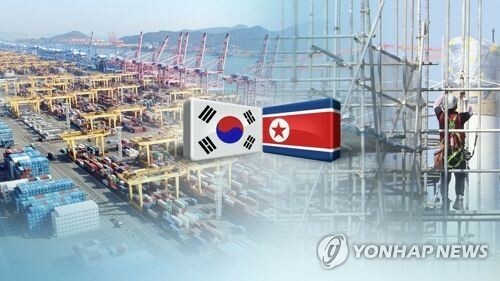 The Ministry of Trade, Industry and Energy picked an official with a background in both political science and economy, claiming that a wide policy perspective is necessary to oversee the inter-Korean economic development. Observers, however, have also pointed out that expectations may be premature as the international sanctions are yet to be lifted from Pyongyang until economic actions may be discussed. Also, the government has not yet suggested a detailed plan or budget concerning the economic aid to the North. “Though details are not final, it looks like that the inter-Korean businesses this year will be operated from the conventional funds (without extra injection),” said an official of the Finance Ministry.